Idyllic commercial property with 1,384 water frontage on 4.57 acres. Highway frontage is 688. Utilities are already on the land. The property is ideal for Townhomes, Residential homes or a Hotel. The site is basically level to gentle sloping and slopes downward to the waterfront along the NW, NE and SW. Conceptual drawings and surveys are available for Townhomes, residential homes, hotel, and marina. What a perfect spot to build on - with Amazing and Wide Open Water Views. You can click on the map to open Google Maps in a new tab for directions and more. 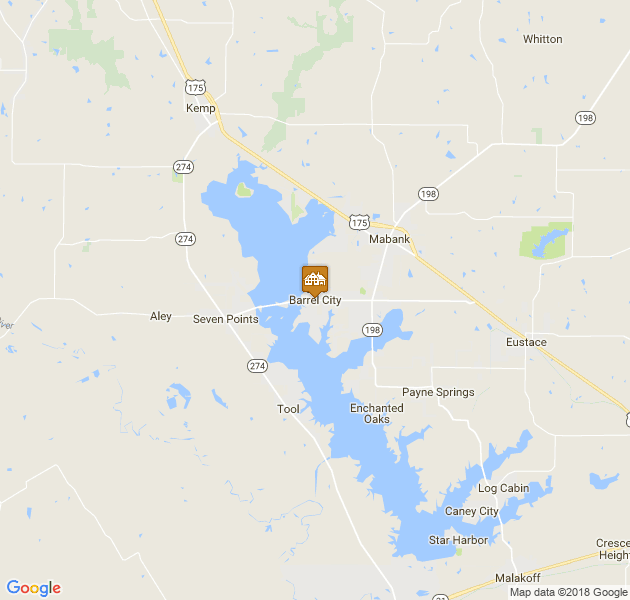 Sign up for our email newsletter to keep with the Cedar Creek Lake community. We promise no spam and a simple opt-out whenever you like. 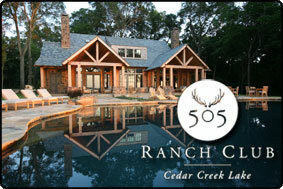 Visit our Cedar Creek Lake Sponsors! business for as little as $25/mo! "We recently listed with your website and I am amazed at the number of inquiries we have already had. Thank you very much for helping us get our name out there." Jeff K.
"We've had a rental listing for 1 year and almost 100% of our rentals have come through your site." Susan G.
"We've received at least 10 emails already from your site so I wanted to say thank you!" Brandie S.
"Our lake house sold! Thanks for the opportunity to post our home on your web site." Brenda R.
Water lightly stained; 65–70 degrees, 0.14’ high. Black bass are fair on shakeyhead worms, squarebill crankbaits and Texas rigged craws. Crappie are good on minnows. Catfish are fair on trotlines. White bass are good on slabs. Hybrid striper are good on slabs.